I'm going to stretch out National Pi Day for just a few extra days, this celebration is worthy of a week in my opinion! Let's talk blueberries. They are not created equal. I would strongly discourage you from using the run of the mill grocery store blueberries for pie purposes. Instead, opt for the frozen Maine variety that most grocery chains carry, or fresh Maine blueberries if you can find them. These tiny little berries pack tons of flavor and cook down to a lovely sauce when baked. 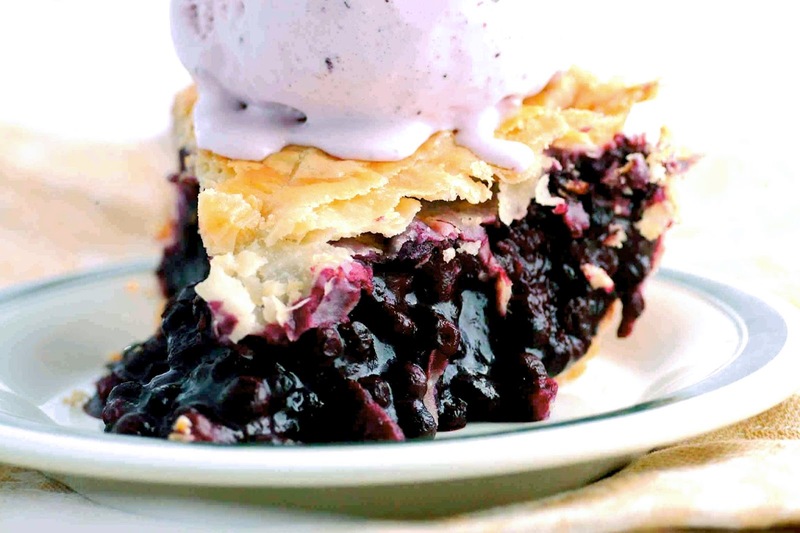 This blueberry pie recipe is my kids favorite, one of them was born in Maine and goes by the nickname, Blueberry Eyes, so she is a good judge of all things New England. It's wicked good. Enjoy. Gently toss the blueberries with the flour and 1/2 c. sugar. sprinkle with lemon juice. Let stand at room temperature for 10 minutes, 20 minutes if your berries were frozen. Stir gently. Pour the berries into the pie shell. Place butter cubes over the berries. Place second pie crust on top and crimp to seal the edges. Cut a few slits on the top to vent steam. Brush the top of the crust with the beaten egg and sprinkle with 2 tbs. sugar. Bake for 45 to 55 minutes, until crust is golden and the filling is bubbling up through the vents. Cool before serving. You can get fancy and make a lattice crust, still brush with egg and dust with sugar. This pie will be a little juicy, that's how its supposed to be.